An effective way to manage behavioral problems. 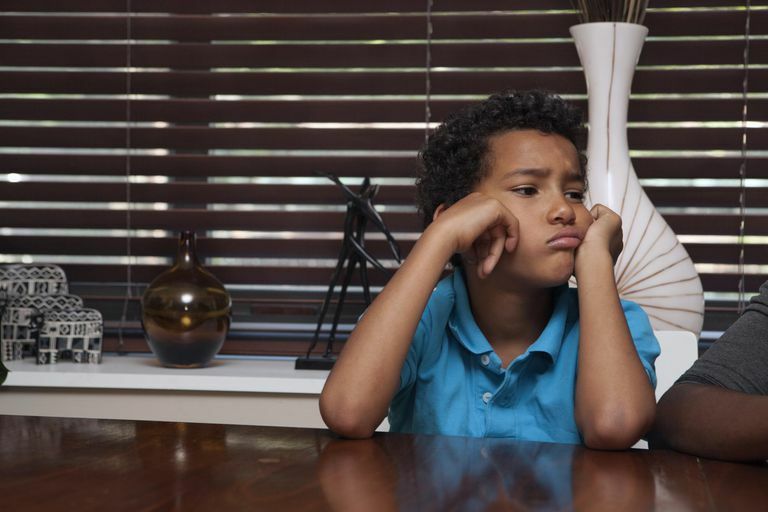 Taking away privileges can be one of the most effective discipline strategies when your child misbehaves. Whether you decide to take away a fun event or you remove a favorite toy, there are some strategies that will make privilege removal an effective consequence that will encourage your child to make better choices in the future. Teach your child that privileges need to be earned. Staying up late, using electronics, and visiting with a friend should all be contingent on good behavior. When your child breaks the rules, carefully choose the privilege to remove. While, one child may be affected by the loss of his toys, another child may not about toys care as long as he gets to watch TV. Think carefully about which privilege means the most to your child. If you take away a privilege that your child doesn't really care about, it won’t be an effective negative consequence. So it is important to pick something that is really going to bother your child. Sometimes the loss of privilege can be a logical consequence. Carefully match the privilege you're taking away to the your child's violation. For example, if a teenager is with his friends and he doesn’t come home on time, take away his ability to visit with friends. You also might use a warning when your child misbehaves. Say something like, "If you don't pick up your toys right now, you won't be allowed to play with your toys for the rest of the day." Make it clear how your child can earn his privileges back. Usually, 24 hours is enough time for a child to learn a valuable life lesson. Avoid giving vague timelines like, "You can have your computer back when I can trust you again," or "I'll give you your toys when you start behaving." Make sure your child has a clear understanding of what steps he needs to take to earn his privilege back. Don’t give in when your child begs, whines, or complains. Otherwise, you’ll reinforce those negative behaviors. Stick with the consequence for the specified time period, even when it's hard to do so. If you tell your child that he has lost the privilege of attending the school dance on Friday, don’t give in because he starts to behave better. Stick to your limits so your child knows you are serious and that you cannot be manipulated into changing your mind. The one exception to this is if you take away a privilege out for a ridiculous amount of time out of anger. If you say, "I'm not never letting you play video games ever again!" out of anger, do some damage control when you're calm. Apologize and explain the new, more logical time limit. Take away your child's cellphone if he doesn't do his chores. Tell him he can earn his privileges back by doing his chores on time two days in a row. Ground your child from visiting with friends on the weekend if he doesn't get his homework done during the week. Take away a teen's video game privileges if he isn't doing his homework. Tell him he can earn his privileges every day by getting his homework done. Remove your child's TV privileges for 24 hours if he talks back and becomes disrespectful. Avoid removing too many privileges at once. Don’t take away everything from your child. This authoritarian style of parenting is likely to cause your child to focus on his hostility toward you instead of learning from his mistakes. Also, make sure your child doesn't have other ways to access the privilege you remove. For example, taking away TV is only effective if he doesn't have another way to watch his favorite shows. If he's able to watch TV on his laptop, or he can access his video games on his computer, it's best to remove all electronics, not just one. Hesari NKZ, Hejazi E. The Mediating Role of Self Esteem in the Relationship Between the Authoritative Parenting Style and Aggression. Procedia - Social and Behavioral Sciences. 2011;30:1724-1730.